Fine Entry, Global Design – without a doubt these two companies have the most experience in CAT designs and builds. They are highly regarded throughout the commercial industry. 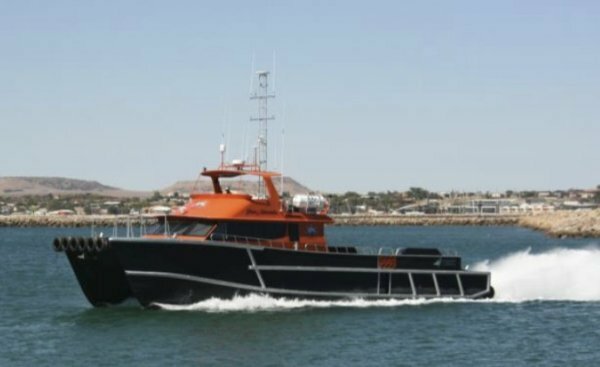 This 21.3m Vessel is truly outstanding – fast yet very efficient. 2012 build, 21.3m x 6.4m with a 0.8m draft. She is powered by two C18 Cats with a 30 knot top speed and 20 knot cruise. The vessel is in full charter survey, complete with Hi-Ab, moon pool, full fendering, bow transfer. This highly maintained vessel presents AS NEW and inspection will not disappoint. Contact us for full specs and photos.